It’s happening in 16. – 17.11.2017 in Xinno, Mikkeli campus. Save the date now and prepare to save our planet. If you really want to be in the hackathon or you’re part of a pre-registered team and have not registered, scroll to the bottom of this page and send an email or tweet during Wednesday 15.11. We will see if there is any room. The challenges are sourced with our partners and organized into three tracks. They are based on real world problems worth solving. There is stuff to for students of all trades: engineers, programmers, designers, business developers and whatnot. Oh, btw. we’ve got IBM Watson and Bluemix to work with. Each track will include challenges covering environmental safety, especially water systems, and forestry. Open track: Choose and design your own challenge and pitch it to the judges. 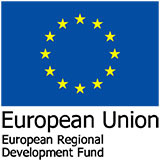 Funding: European Regional Development Fund by South Savo Regional Council. Partners: IBM, Metsä Group, and SYKE – Finnish Environment Institute. The venue for hackathon will be Xinno. However, some stuff e.g. lunches and opening take place elsewhere. See below for the details. Why we are moving into cognitive era? Secchi3000 measurement device for citizen observations, potential for commercialization? Kimmo Kaskikallio, IBM Certified Senior Architect, Cloud and Cognitive Technical Leader. Kimmo Kaskikallio has log experience on technical leadership positions in IBM Finland. In his current role Kimmo helps peoples and organisations to use IBM Cloud and Cognitive services to realise the promises of digitalisation. Kimmo is Technical Leader, Architect and programmer with genuine interest to learn more. Juha Jumppanen, SVP Member Services, Metsä Forest at Metsä Group. Timo Pyhälahti, Senior Expert, Finnish Environment Institute. The event continues through the night. You can stay and rest in the venue, or take a nap at home between the hack days. See practical info for more details. Should you have any questions, don’t hesitate to send email or tweet. A hackathon is an inspiring, entertaining, and multidisciplinary event where people with different skills and knowledge join forces to solve real life problems and compete for the prizes. It’s a place for programmers, designers, engineers, researchers, business developers, marketers, visionaries and all kinds of curious people. It’s an exploration into technology and being awesome. Future Hack events are made in collaboration with IBM Watson (btw. that is the most powerful artificial intelligence in the world). Our partners include Metsä Group, and Finnish Environment Institute – SYKE.